Replacement parts for Enerzone Eurozone stoves and inserts. 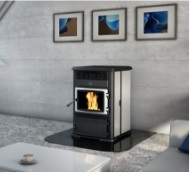 We offer everything you might need to repair your Eurozone pellet stove, such as new glass, gasketing, thermodisc, ignitors, blowers, auger motors, auger shafts, circuit boards and more. If you can not find what you are looking for please call, e-mail or fill out our Parts Request Form and we will be happy to assist you.